Sushi is probably the most popular Japanese food known around the world and for good reason. It’s fresh, tasty and best of all, healthy. There are various types of sushi, but did you know the difference between ‘nigiri sushi’ and ‘maki sushi’? Nigiri means hand-pressed sushi the traditional form and consists of an oblong mound of vinegared rice pressed between the palms of the hands to form an oval-shaped ball, topped with a single piece of topping draped over it. Nigiri sushi is typically something you would enjoy outside from the home on a special occasion and prepared by a professional. Maki sushi, on the other hand, is made with nori (seaweed) on the outside, and vinegared rice on the inside, with various types of different fillings such as egg, fish or vegetables. Typically enjoyed at home. 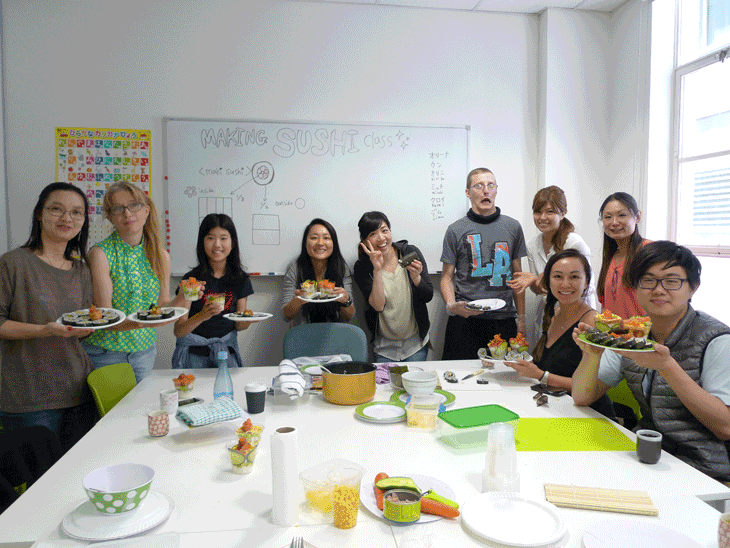 In our Sushi Making Class, we make homemade style sushi (maki-sushi), sushi rolls. Making Maki sushi requires several techniques, including rice spreading, ingredients arrangements (so that the cut faces looks pretty), rolling (not too tight, not too loose) and precise clean cutting. 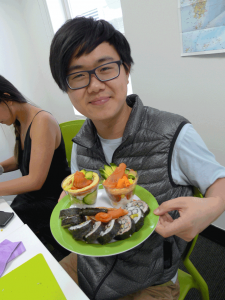 You can learn how to prepare sushi rolls from us at iJapanese, providing you with a bamboo mat, making it easy to roll and all the essential cooking tools needed to complete your sushi rolls.